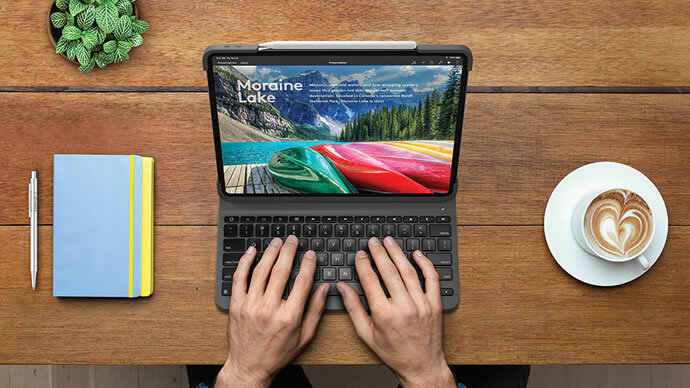 Logitech SLIM FOLIO PRO is an all-in-one backlit keyboard case for the new 11-inch and 12.9-inch iPad Pro (3rd Generation). Logitech SLIM FOLIO PRO provides a comfortable, laptop-like typing experience on iPad Pro with Bluetooth LE pairing in a protective case. Once connected the edge-to-edge backlit keyboard automatically remembers the connected device every time iPad Pro is opened to type. The rechargeable battery lasts up to three months on a single charge. 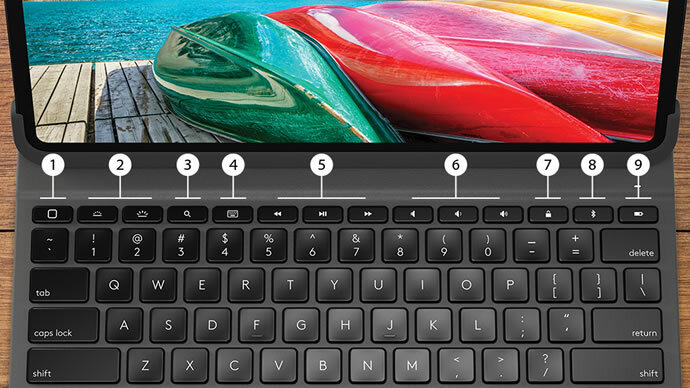 The scissor mechanism of the SLIM FOLIO PRO beneath each key delivers the perfect bounce for fast, accurate typing. The keyboard also features a full row of iOS shortcut keys to control brightness, volume and more. 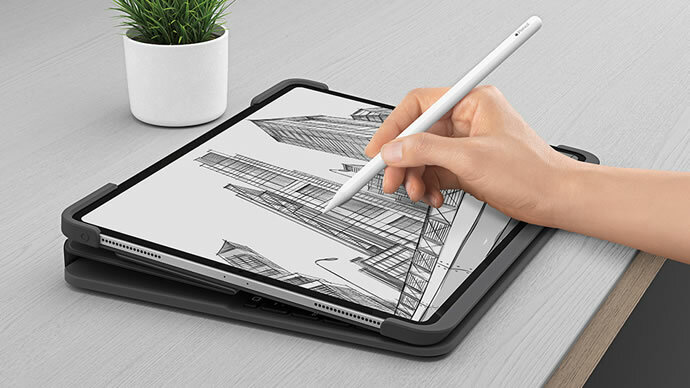 Tuck the keyboard under the iPad screen to take notes or create your next masterpiece with Apple Pencil (2nd gen). 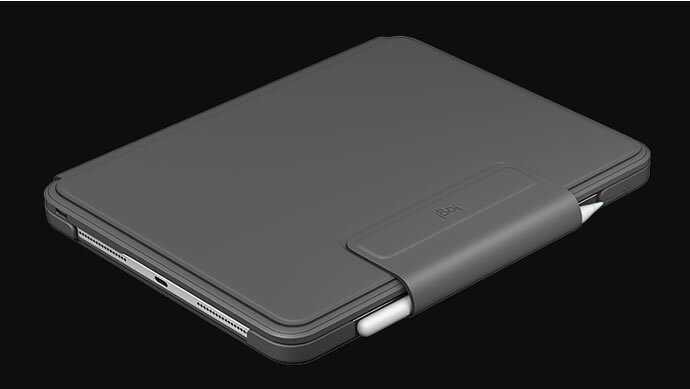 The sides of the case are open so you can charge Apple Pencil (2nd Generation) without removing the case and when you’re done sketching, slide the Apple Pencil inside the magnetic latch, where it won’t get lost or in the way. 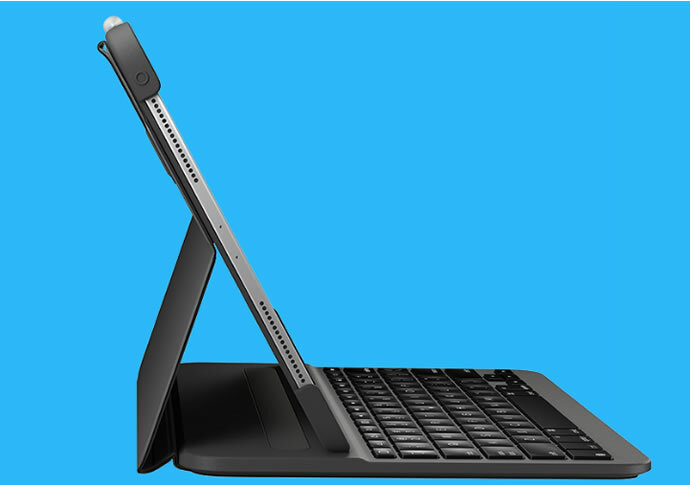 Simply fold the SLIM FOLIO PRO keyboard back for easy reading of ebooks, news articles, magazines and more. SLIM FOLIO PRO securely holds iPad Pro in a lightweight case that keeps corners protected and doesn’t weigh you down, keeping your iPad safe from scuffs, scratches and spills. A secure magnetic latch keeps the case securely closed when not in use to protect your iPad screen. 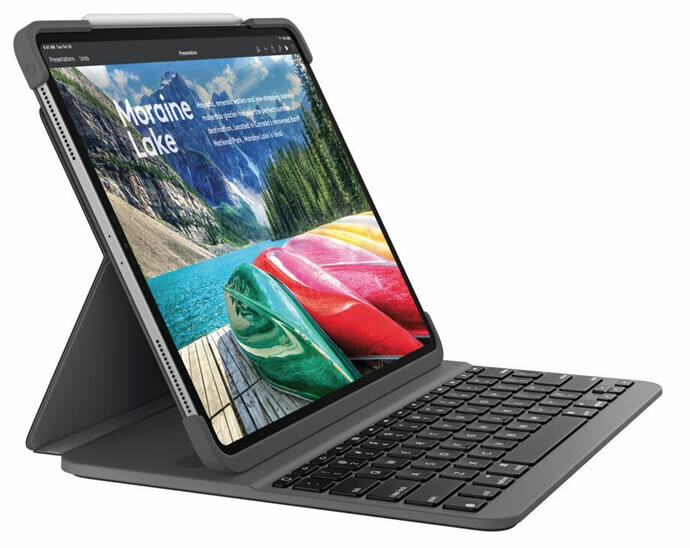 Logitech SLIM FOLIO PRO SLIM FOLIO PRO for the 11-inch iPad Pro will be available for approximately $119.99, and SLIM FOLIO PRO for the 12.9-inch (3rd Generation) iPad Pro is $129.99.